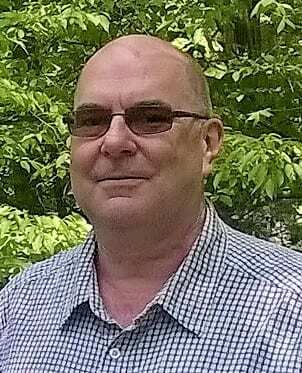 by James M. Fisher, The Miramichi Reader Corrado Paina has published five collections of poetry with Mansfield Press (Toronto) including Hoarse Legend (2000) and cinematic taxi (2015). In Italy, there have been numerous publications including a collection of short stories, several collections of poetry, and the original version of this novella, “tra Rothko e tre finestre”. Between Rothko and 3 Windows is a literary thriller that should not be overlooked. One of the greatest joys in reviewing books is the unexpected pleasure of discovering an excellent story when you least expect it. Such was the case with Between Rothko and 3 Windows (2016, Quattro Books). It’s title alone slightly discouraged me from choosing it over other more recent releases, but it idled patiently in my stack of TBR (to be read) books on my end table. Quattro Books has a good standing (with me at least) of publishing excellent shorter works of fiction so while I did not rush to start reading it on arrival in my mailbox, I knew its time would soon come. Between Rothko and 3 Windows is, essentially, the story of two Italian-Canadian men living in Toronto: Luigi Sasta, the beleaguered editor-in-chief of an Italian language newspaper in slow decline and Michele Carrieri (or Michael Karrier as he has changed his name upon arriving in Canada), a nondescript office worker with a sketchy past in Italy that he is attempting to evade. While at the AGO (Art Gallery of Ontario) on his lunch break, Michael is murdered in a quiet, secluded spot between a Rothko painting and a visual art instalment of 3 windows. Sergeant Stevens of the Toronto police contacts his old friend, Luigi, as he often does when a murder in the Italian community occurs. Luigi has the instincts of an investigative journalist and becomes entwined in the case whilst dealing with angina, a heat wave, a newspaper on the edge of folding and his approaching retirement (to Italy, he dreams). Also, Michael’s killer makes an attempt on his life in a stressful scene near the R.C. Harris water treatment plant. More resolved than ever to uncover why Michael came to Canada, why he felt he needed to change his name and the motive for his murder, Luigi sets out on a mission to set matters right, for himself as much as for the deceased. Between Rothko and 3 Windows is a literary thriller that should not be overlooked. At less than 200 pages, Mr Paina tells a comprehensive story of youthful misadventures (and their future consequences), middle age “should-have-done” missed opportunities and the changing times, particularly the loss of culture for Italian Canadians in Toronto as successive generations move out of the city to the suburbs. A beautifully rendered story with an appropriate melancholy pace, as befits the novel’s aforementioned themes. A five-star work of short fiction, and I have added it to my 2017 Longlist for a “Very Best!” Award. James M. Fisher lives in Miramichi. James is an ardent reader whose aim is to highlight New Brunswick authors and publishers, as well as cover subjects of interest to New Brunswickers in particular and Maritimers in general. For more visit his website or like his page on Facebook. 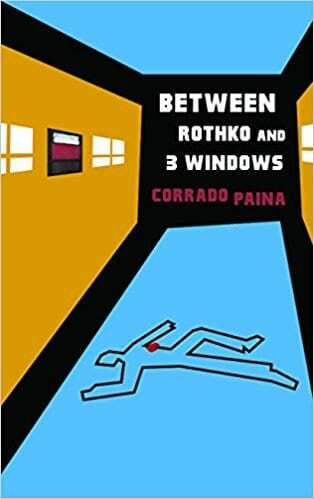 The post Book Review: “Between Rothko and 3 Windows” by Corrado Paina appeared first on Giver on the River. The post Book Review: “Between Rothko and 3 Windows” by Corrado Paina appeared first on Giv'er Saint John. This is a syndicated post. You can view the original post here: Book Review: “Between Rothko and 3 Windows” by Corrado Paina.